Upstart and Jose Ortiz win the Holy Bull. Photo credit Lauren King. When Upstart won the Funny Cide Stakes at Saratoga last summer, a race restricted to horses bred in New York State, his owner Ralph Evans knew that the then-2-year-old was good enough to win against open company. 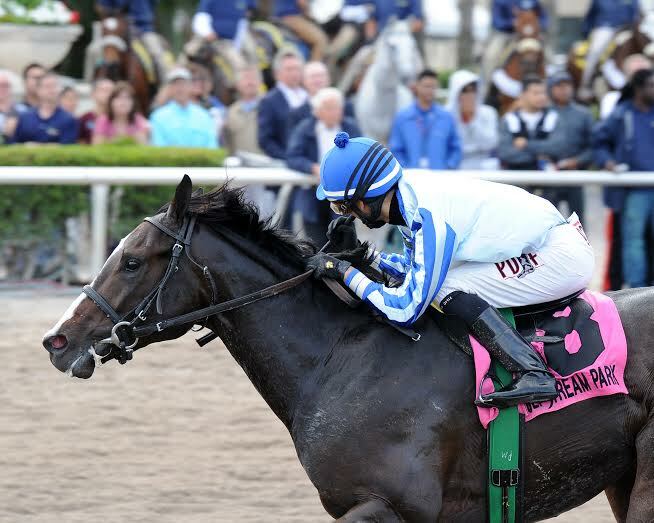 It took five months before Upstart got that win, but got it he did, in the Grade II Lambholm South Holy Bull Stakes on Saturday at Gulfstream Park in Florida, a major stop on the road to the Kentucky Derby. In 2006, Barbaro used the Holy Bull as a prep on his way to winning at Churchill Downs, and in 2012, the Holy Bull was designated an official Derby prep race, offering a total of 17 points to the top four finishers.